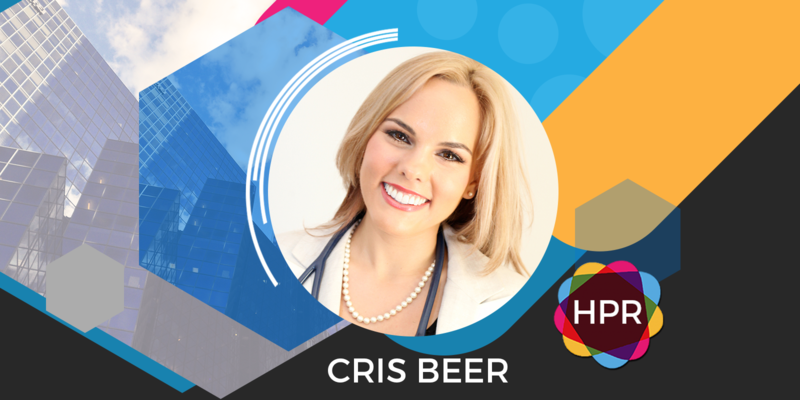 Guest Bio: Dr. Cris Beer is an integrative/holistic medical doctor, author, corporate speaker, and media doctor. As an expert in integrative medicine, she specializes not just in treatment of illnesses, but in the attaining of optimum health. Dr. Beer has particular interests in preventative health, lifestyle medicine, hormone health, weight loss, fatigue and sleep problems, digestive issues, as well as women’s health. Segment Overview: In today’s interview, Dr. Beer talks about how healthier guts reduce our reliance on antibiotics and lessen their side effects as well as the issue regarding antibiotics resistance. She also discusses about World Antibiotics Awareness Week 2017. For more information about gut health, please visit www.blackmores.com.au. Tabetha Moreto: Hello everyone. Welcome to Health Professional Radio. I’m your host for today, Tabetha Moreto. Our guest today is Paul Benhaim, Founder of Hemp Foods Australia, born in the UK, traveled the world for 10 years, pioneer new industries in the UK and Australia, successfully ran business spanning over 10 countries and four continents. Today, we’re going to talk about a very unusual topic – Hemp, a controversial healthy ingredient that’s going to be legalized as a food in Australia. Without further ado, welcome to the show Paul. It’s very nice to have you here. T: Yes, wonderful. So Paul please tell the audience more about yourself and your company. P: Sure. My name is Paul Benhaim and I’m CEO of Hemp Foods Australia. Hemp Foods Australia is the largest manufacturer of all hemp food products in the Southern hemisphere and we’re based in Northern New South Wales where we manufacture hemp seeds and oil, hemp protein and hemp flour. T: Wow! You must have a very big company. P: We’ve got an awesome team here in New South Wales and it’s growing all the time. And we also work with lots of farmers all over Australia who are supporting our crops and building an industry because in Australia, hemp is a very new industry. In fact in Australia, it’s one of the last Western countries in the world to actually recognize industrial hemp seeds as a food. It’s been legal as far back as history records go in Europe and North America and throughout different parts of Asia. It’s literally been eaten as a traditional food in Eastern Europe and for the last two-and-a-half decades been sold in grocery stores in North America, various forms and its raw materials as hemp seeds and oil as well as in pastas and breads and soups and teas. In Australia until November the 12th, 2017 hemp seed oil and protein have only been able to be produced and sold as a skincare product not for consumption and after that date it can now be sold as a food. So we would also now expect to see hemp seeds for recipes and learn how to use all their nutritional properties, as well as see it in breads and pastas and snack bars and hemp cookies, hemp non-dairy milks and ice creams and the like. T: Wow, very interesting. So Paul can you explain why is this considered to be controversial? P: Hemp is a type of plant, a cannabis plant in fact and cannabis is known for its intoxicating properties but industrial hemp does not contain intoxicating properties whatsoever of course. It is approved by the Australian Government to be grown. It contains very low amounts of tetrahydrocannabinol or THC for short. THC is the stuff that gets you high and when you grow industrial hemp you can smoke a field of it. All you do is get a headache and that’s why it’s called industrial hemp and provides a very nutritious green seed that is actually shown to be highly healthy for young children and pregnant mothers and mature people and everyone in between of course. That’s been shown from a scientific basis from Food Standards Australia and New Zealand. And also is shown to the scientists from all around the world that they’re saying the nutritious compounds in hemp products are really awesome for us. T: Wow! That is very interesting because this is a topic, like I mentioned earlier, it’s considered controversial with a lot of people very similar to marijuana. Some people think it’s good for us and there’s some people who are opposed to this. If you don’t mind me Paul, I want to ask you something. What do you have to tell people, the ones who are against legalizing hemp? P: Well there is hemp in itself has been legal in Australia for growing for decades. It’s only been foods that haven’t been allowed until this recently and around, as I said, they are allowed as health food products all around the world. There is no connection, not connected to a drug and they do not get you high or intoxicated in any forms. And in fact I would feed my baby hemp products and any child of any age. So to be honest, we don’t actually meet anybody who has any objection for hemp seed or hemp food products anymore. I think the public perception and understanding that hemp is actually a healthy product for you and has now changed. T: I’m very glad to hear that this has changed, that now it’s accepted as a food. And speaking of hemp as a food, if you don’t mind me asking. What kind of recipe or what kind of food you can mix hemp with? Can you use it in spaghetti or something? P: Sure. I would have it either on my granola or muesli in the morning or that hemp seeds and all with my yogurt. Actually hemp seeds go really nicely with yogurt. I really recommend it because it’s a tasty soft creamy flavor that you get with the hemp seeds. Then you could have lunch time, you can have seed oil on a salad which is really, really tasty. Maybe if you wanted a protein shake with that, you can have some hemp protein in a shake. And in fact for dinner you might have a curry and again if you use hemp protein in the sauce and you might have some bread on the side made from hemp flour and as a drink you might have hemp milk which is just blended up hemp seed. So there are so many things and you could follow that of course with that, a hemp milk turned into hemp ice cream and you would have a very hempy day. T: Wow! That’s a lot. You made me hungry actually. Thank you for mentioning that, yes. Because this is very fascinating how this plant that has a lot of health benefits obviously can be consumed as a food now. Like what you mentioned, that a few years ago it was only considered like a plant, it can be only used as a cream or cosmetic products, but luckily now Australian government has realized the importance of hemp that can be consumed as a food for all age groups. P: That’s right. And the reason they really accepted it is because hemp is one of the best plant-based sources of essential fatty acid that exists in the world. No other plant contain such a perfect balance of essential fatty acids and omega 3 and omega 6 as well as having a big amount gamma-Linolenic acid which is GLA. So most of those essential fats are usually found in fish oils. So that’s the reason why people would buy fish oils or even primrose oil and it’s like a kind of a mixture of all of those things from an organic plant-based source. That’s one of the main nutritional reasons why people consume hemp seeds. The other reason of course is that it’s a high quality protein and that means it contains all of the essential amino acids especially the amino acid Leucine, which is a very popular for bodybuilders and people wanting to build their strength. And hemp seeds because of the essential fatty acids assist on your metabolism, which will usually stabilize your weight. If you’re overweight then this would usually bring your weight down. If you’re underweight, something that metabolizes you, brings you back into homeostasis would bring you the way back up. So it really helps bring our bodies to balance because of these essential fatty acids and high quality protein that’s very easily digestible so it doesn’t give you the bloating but the most important thing about hemp of course is it tastes great. So enjoy hemp seeds everyday. It should become a part of Australians’ daily diet whether we want to top it on top of our barbecue prawns or we want to have it in our burgers and I said burger buns. There’s even companies making hemp beer and it will be launched very soon. So we will really see lots of healthy hemp foods products. So I hope you get to enjoy them soon. T: Yes, absolutely. Thank you so much because of you I want to try your products actually. P: Wonderful. Well you can try our products and anyone can try our products by visiting our website which is hempfoods.com.au and we’re offering lots of special gifts to lots of people because we are celebrating this once-in-a-lifetime historic occasion and happy to share with people all lots of recipes so you can learn how you can use, enjoy, consume this gift of health which I think is wonderful for everybody. T: Excellent, yes. Thank you so much for sharing that information with us I really appreciate that. Now I want to ask you something personal. Why are you so passionate about hemp? Why are you so passionate about promoting this to everyone? P: It’s a good question, because I’ve been doing this for 25 years now and it’s just something that I love. I fell in love with hemp actually, before the time I fell in love with hemp, I realized the essential fatty acids were really important for human health and it was the omega-3 and omega-6 products that I wanted to find a way to get natural plant-based sources of those to as many people as possible. So more of the processed diets have shelf lives or more led to more hydrogenated fats on diet. So essential fatty acids are the solution to a lot of those issues. So when I discovered the hemp contains the best source of these essential fatty acids as well as having this high quality easily digestible protein, I fell in love with hemp as a food. And I brought it from I guess that in more traditional diets around the world where I said people were living such healthy vibrant and energetic lifestyle then I wanted to bring that to as many people as possible anywhere. So I started mixing it, making chocolate bars, with hemp in bread, with hemp in beers, with hemp in snack bars, with hemp and now we just love to help support the industry grow, help farm, grow and help people produce it and share it with all the people that come and give us all this wonderful feedback telling us how much they love hemp. T: That’s fantastic. Alright Paul, I think I’m going to be checking out your website soon. So since I’m a first-time customer if you don’t mind, what is your best selling product on your website? P: Well that’s a good question. Our best selling product is probably just about hemp seeds themselves. The de-hulled hemp seeds as the gorgeous meat that’s where all the best nutrition is in the most natural form from the plant. So it’s the overall way to experience hemp because it contains the essential fatty acids and the protein, but again some people are just wanting it mainly for the protein and wanting for a better source of healthy plant organic protein that’s vegan and gluten-free like all of our products are. And they may just choose the protein powder. But if you want to have more cost-effective solution then you can buy some hemp flour, increase in nutritional properties all of your bread. So there’s so many options there but if you’re not sure, then I think that the whole hemp seeds as I said, are the most natural and contain all of the essential fatty acids, as well as 32% protein. Anyway, this soft lovely seeds that you can eat just as they are. T: Fantastic. Thank you so much Paul. And before we go, what is your main takeaway message to all of our listeners? P: Well be happy, enjoy life and share the gift of hemp knowing that it’s a sustainable agricultural crop that comes from a seed, gets planted on our very earth and can make plant, can make plastics, paper, textiles, car body parts and of course this food, all of our plant. So enjoy have the gift of hemp. T: Excellent message. Thank you so much Paul for coming on the show today, I really appreciate it. It was fantastic having you. P: Thank you very much for having me. T: And that was Paul Benhaim, Founder of Hemp Foods Australia. We just been talking about the wonderful health benefits of hemp despite its controversial nature and we also talked about its legalization in Australia as a food. If you liked this interview, transcripts and archives are available at www.hpr.fm. We are on all social media platforms, so don’t forget to follow, like and subscribe. We’re also available for download on SoundCloud and iTunes. I’m Tabetha Moreto and you’re listening to Health Professional Radio.